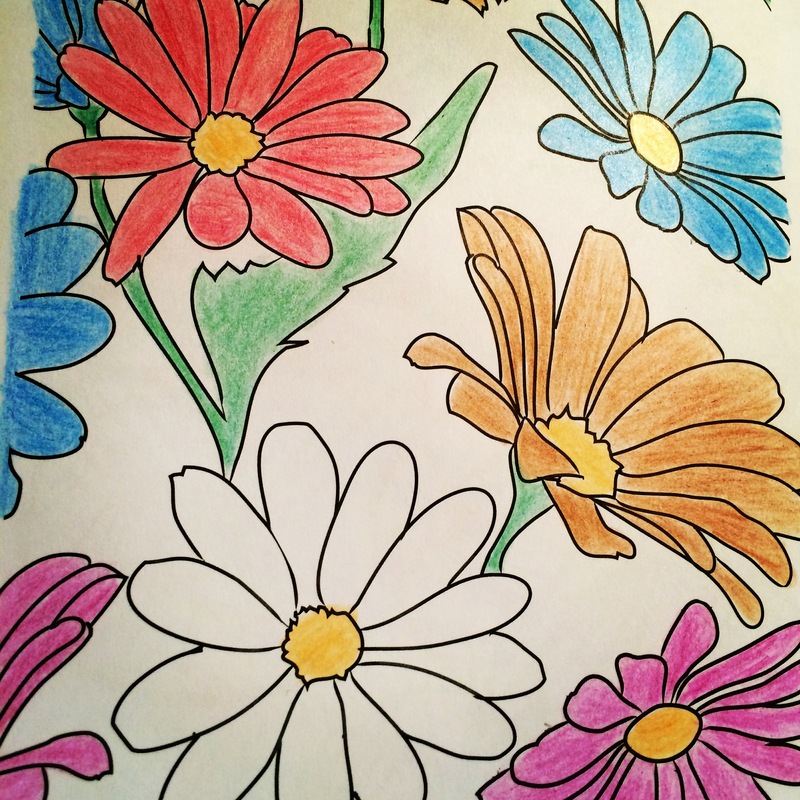 Aaaah at last, I can colour in in public now that colouring in for adults is a trendy pastime. Previously I took opportunities when I could, usually hijacking a small child’s colouring in book on the pretence of “showing” them how to colour in. 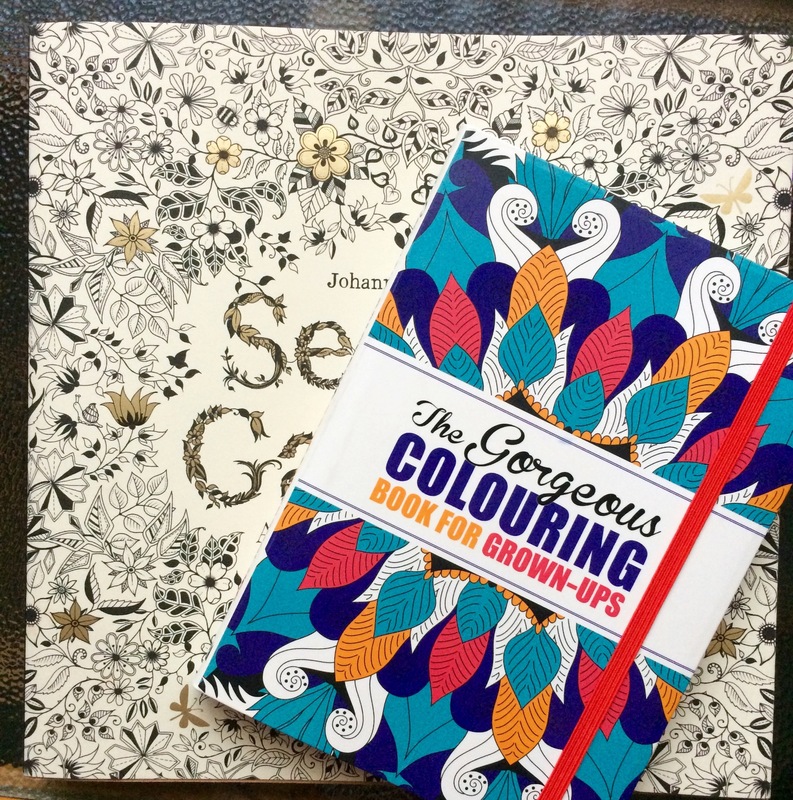 I love the amazing designs that artists are currently drawing, the beautiful colouring in books which line the bookshops shelves, the feel of good pencil crayons and the smell of wax crayola. 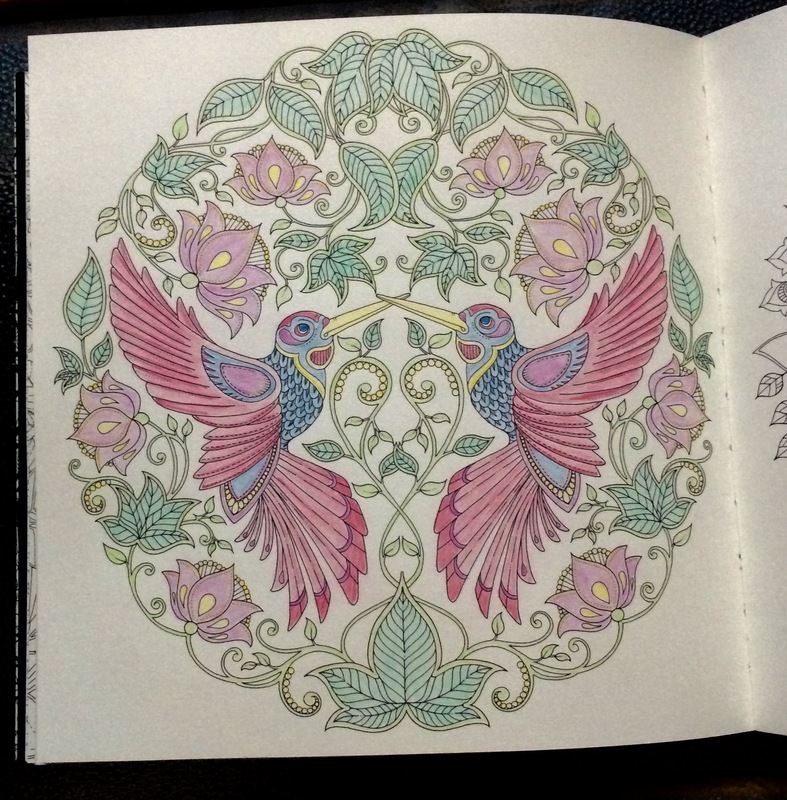 While I’m colouring, I often reach a space called flow which is the period when my brain empties and all that matters is the picture I’m filling in with beautiful colours. 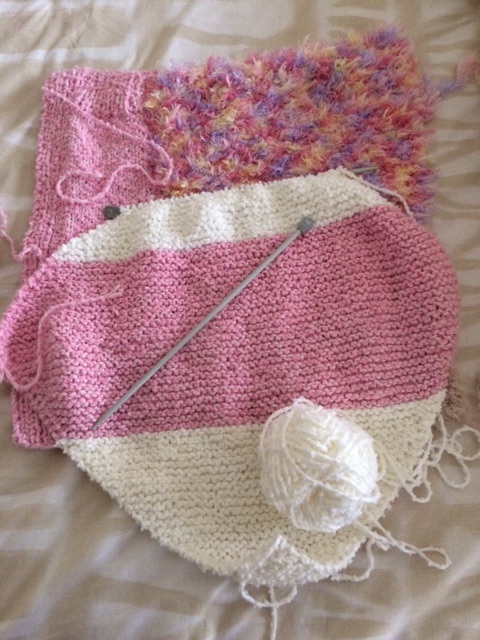 I enjoy making things and knitting is an especially satisfying craft. It’s amazing what one can create with two needles and a couple of balls of wool. 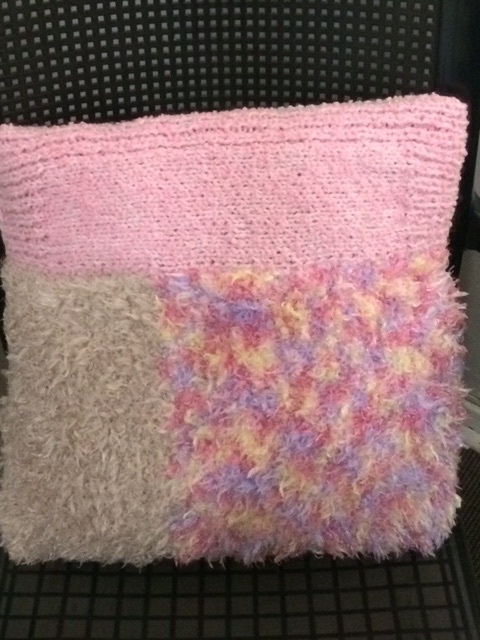 I had scraps of wool from different projects and decided to make a cushion cover. 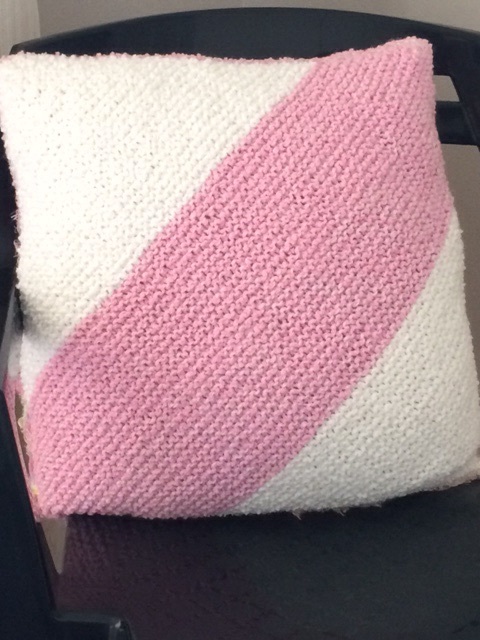 I made up the pattern as I went along and knitted a reversible cover so as it could be displayed on either side. I sewed the cushion together last night and I’m happy with the result. 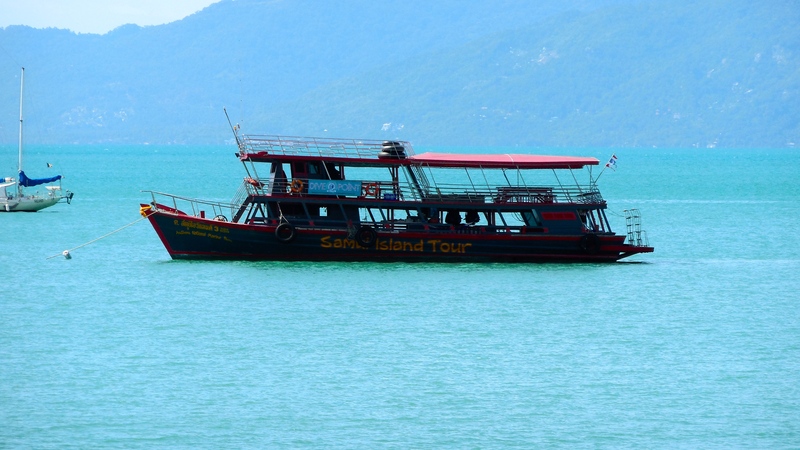 My next project is in the planning stages – watch this space ……. Almond flour is currently being promoted as a marvellous substitute for ordinary flour. Anyone in South Africa who is on a diet, knows about Tim Noakes. He advocates cutting carbs and using protein products instead. I believe almond flour is high in protein and contains little or no sugar or fats which makes it the healthy option. Because of all of the publicity, I wanted to try it. 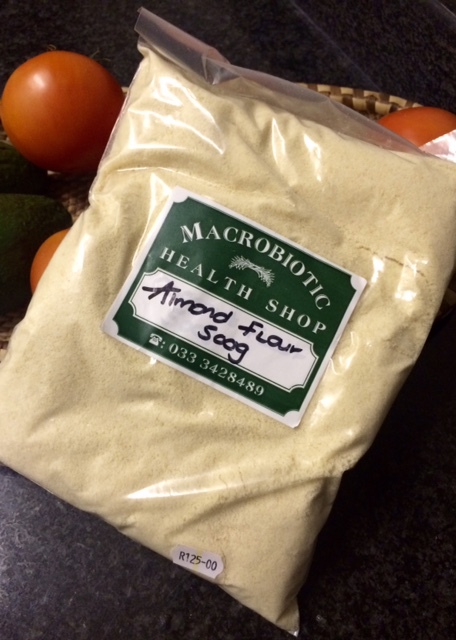 So, yesterday, when walking past our local health shop, I saw almond flour advertised on the blackboard outside the store and went into the shop and bought a bag. However, I misread the sign! I thought it said R25.00 for 500g! When the assistant handed me the packet of almond flour which I had asked for, the label said R125.00. I nearly refused the flour but pride held me back. So now I’m the owner of a bag of almond flour and I’m not sure whether to store it in my baking cupboard or pack away in our household safe! I have a passion for books and now that I have a Facebook feed from Everyman’s Library, Vintage Books and Anchor Books, I’m constantly reminded of all the beautiful books in the world, both old and new. I particularly enjoy the classics i.e. Jane Austen, Anthony Trollope, Charles Dickens, Victor Hugo, and, with the advent of freely available audio books, I have substantially expanded my “reading” of these treasures. There are also many cleverly crafted, newer books which brings me to my question, what sets a book apart from all the rest and makes it a classic? 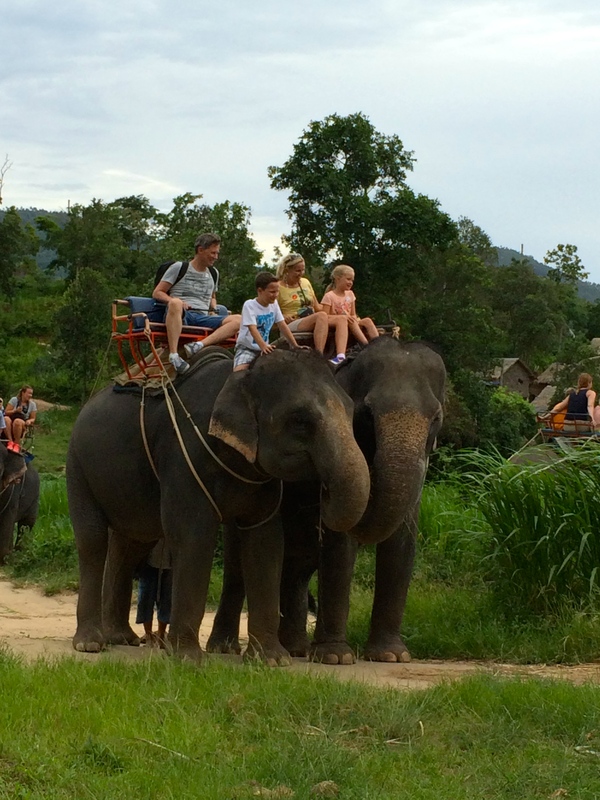 A classic has universal appeal. No matter how many times it is re-read, there is always something new to discover – in the story, in the words or in the sentiment. 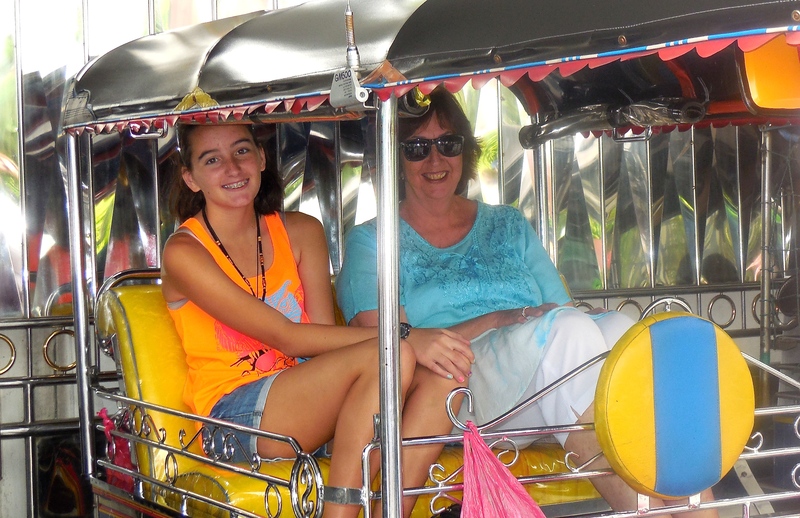 There are many ways to get around in Thailand – I enjoyed the tuk tuk the most! 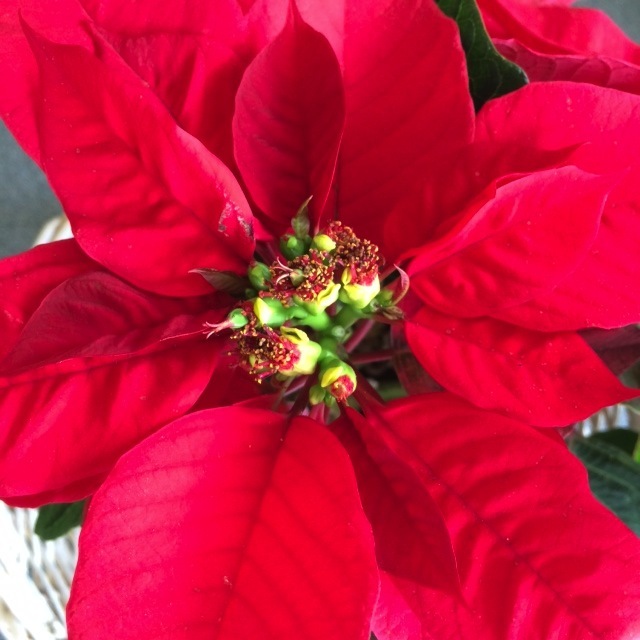 Nothing says Merry Christmas quite like a poinsettia. Merry Christmas to you and yours. Wishing you love and joy. My mother died on the 3rd June. 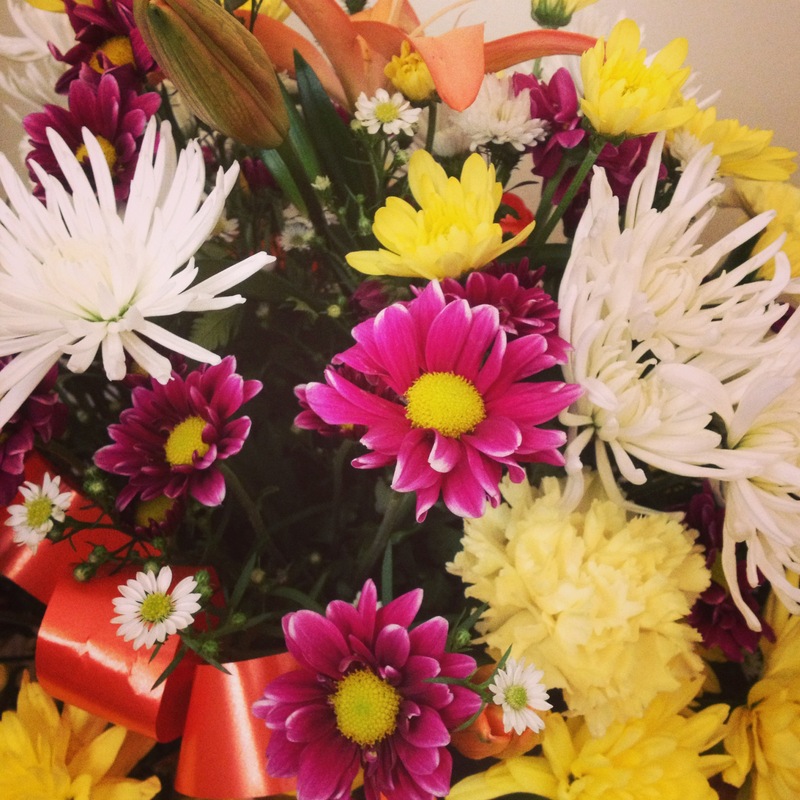 One of the messages of sympathy I received ended with “…… there will always be flowers”. The meaning of these words became apparent during this time of grieving. 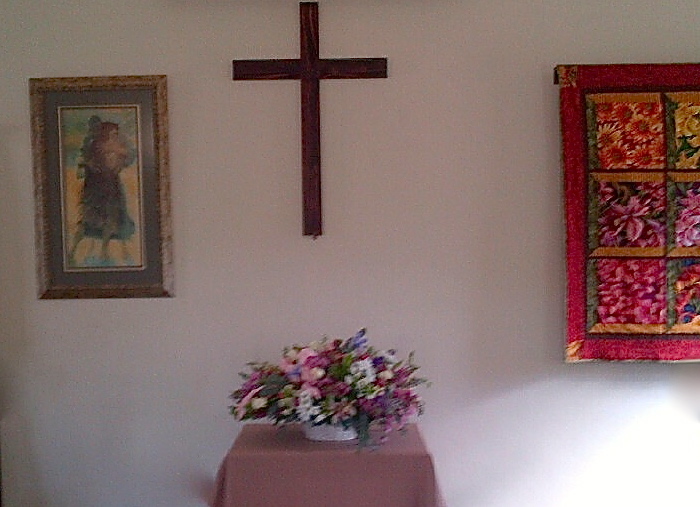 The flowers in my home, the flowers in the chapel and the flowers in my office comforted me. My mother loved church, the traditions and the hymns. 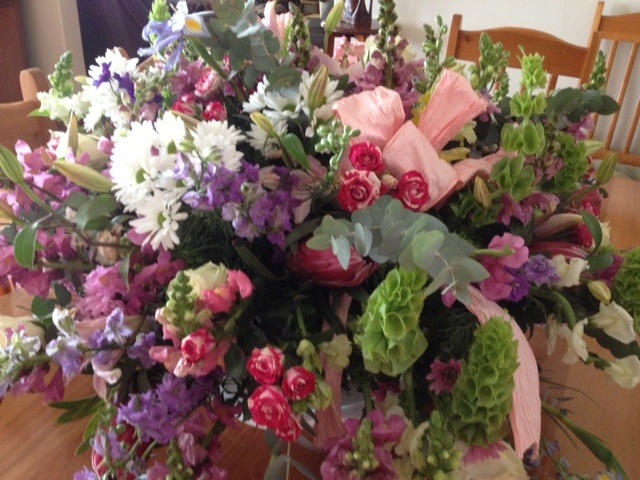 In tribute to the sweetness of her unquestioning belief, we choose the children’s hymn “All Things Bright And Beautiful”, for her memorial service and we made sure that the floral arrangement in the church was an array of bright and beautiful flowers. I asked my daughter to read out my eulogy, as I was too emotional to speak myself, which ended with this beautiful poem. To my beautiful mother, may you rest in peace.